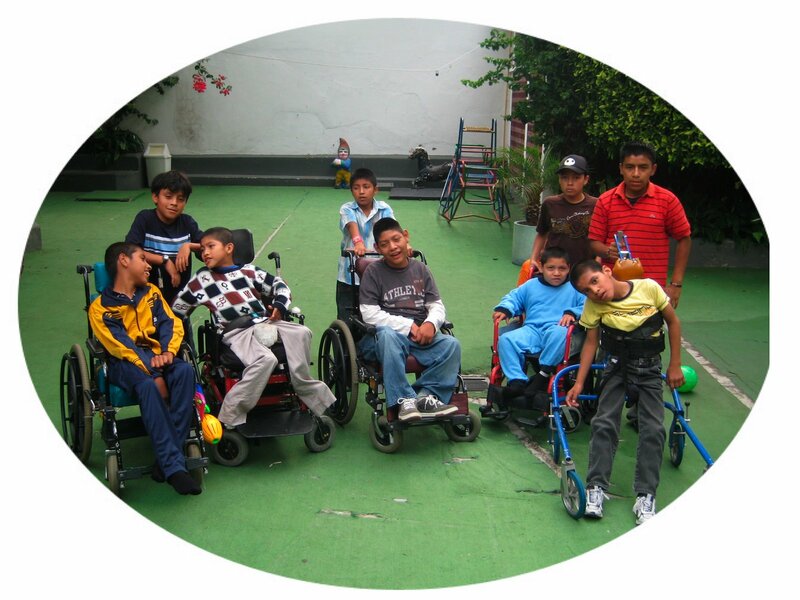 Every year all of the kids From Hermano Pedro that have family are required to go home with them for a 2 months stay. 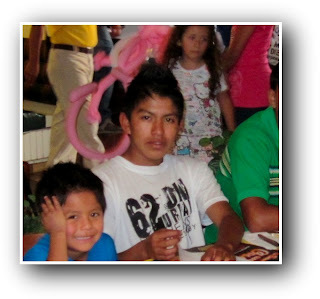 This week most of the kids that were home with relatives returned to Hermano Pedro. 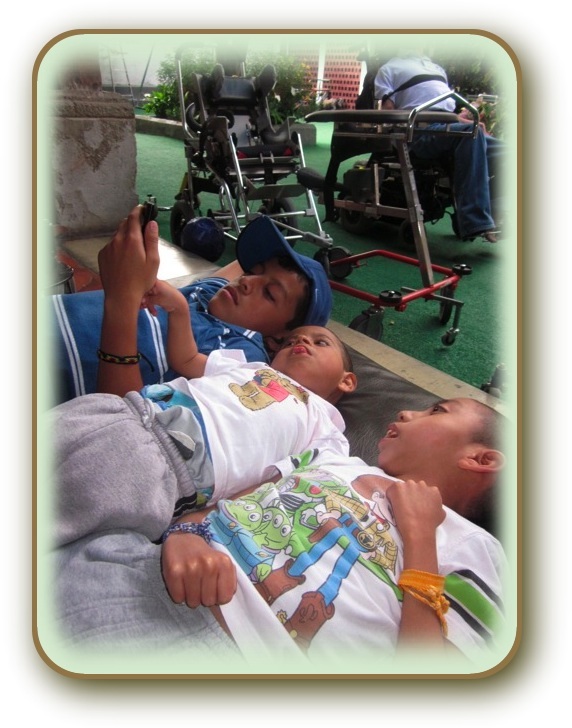 After spending 2 months with family many of the kids often have a rough time readjusting to institution life. most of our time the past few days at Hermano Pedro with the kids. Going out to lunch at Camperos really cheered these 2 up. 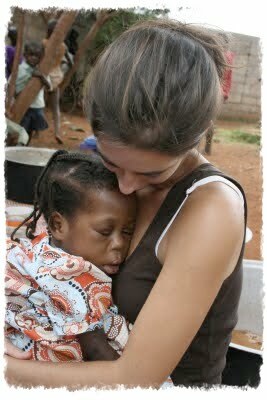 We only managed take a few kids out to eat but most were content as long as there was someone there to hold them. Fernando is a natural with the kids. Since there are nearly 250 residence at Hermano Pedro it is hard to give everyone the attention that they need but taking some of my boys along with me certainly helped fill in the gaps. 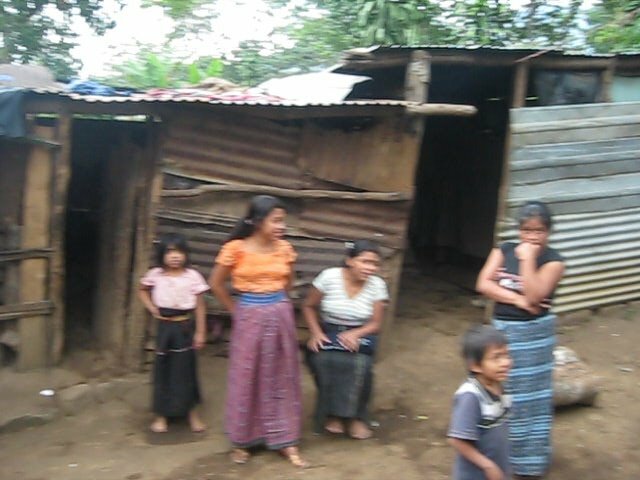 Another tremendous blessing is the fact that Daryl and Wanda Fulp and their 9 children have now moved to Guatemala. 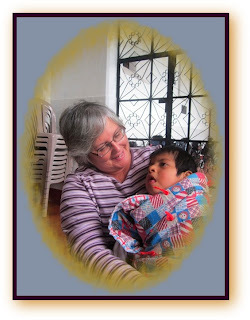 Even though they only arrived in Guatemala few days ago and are just starting to get settled in to their new home, their entire family has already managed to spend 2 days loving on the kids at the orphanage. 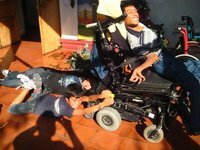 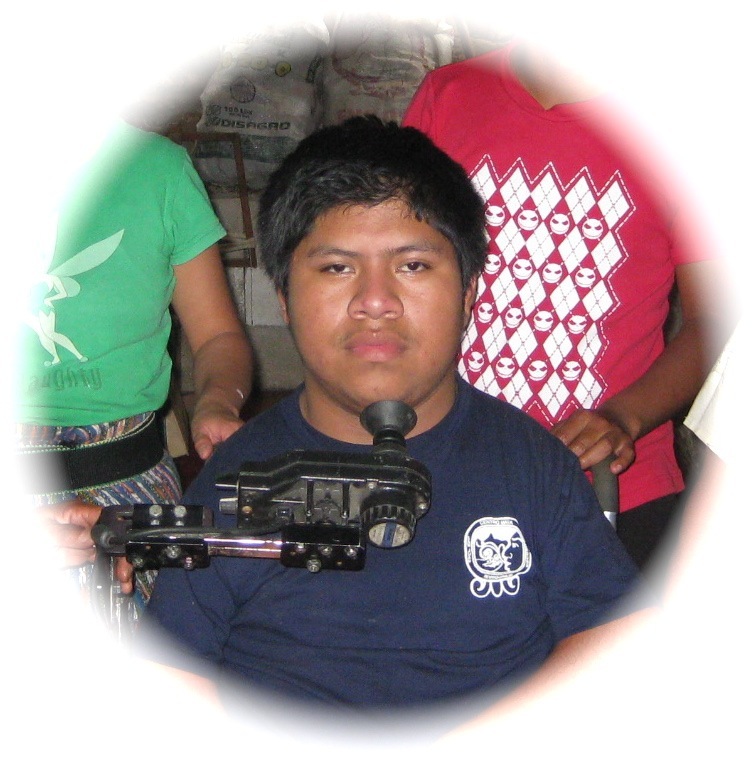 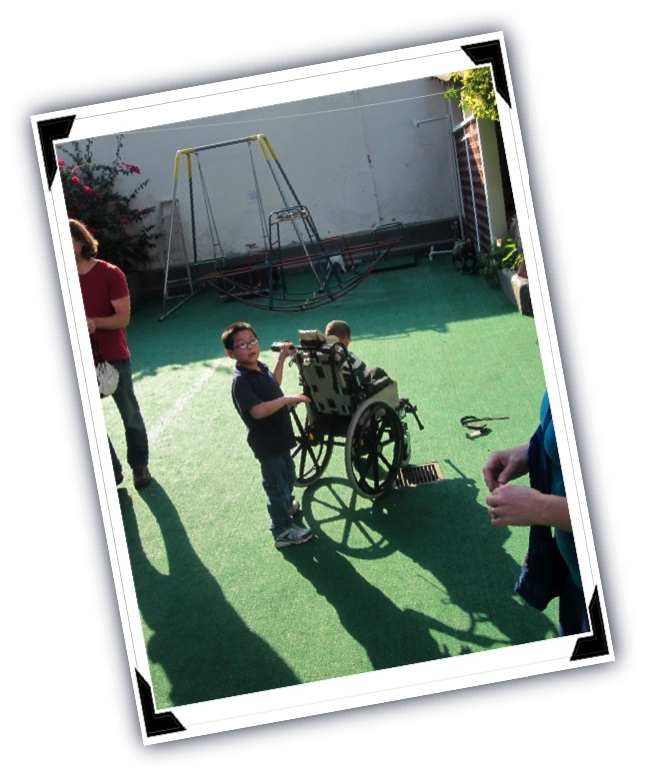 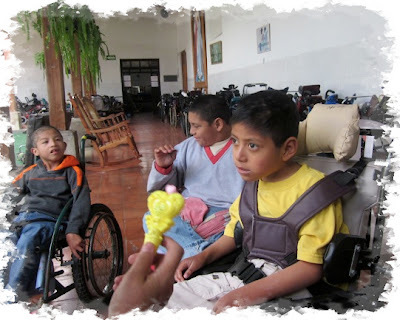 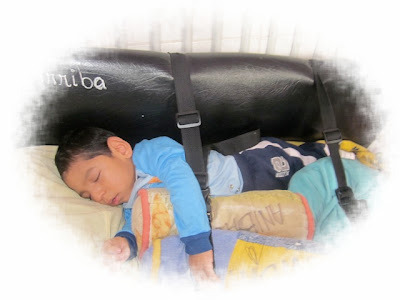 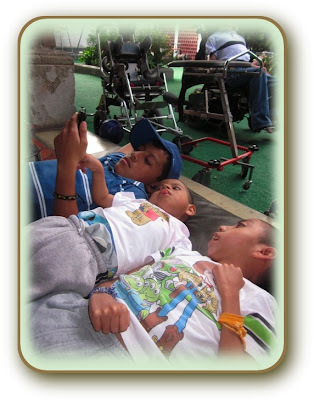 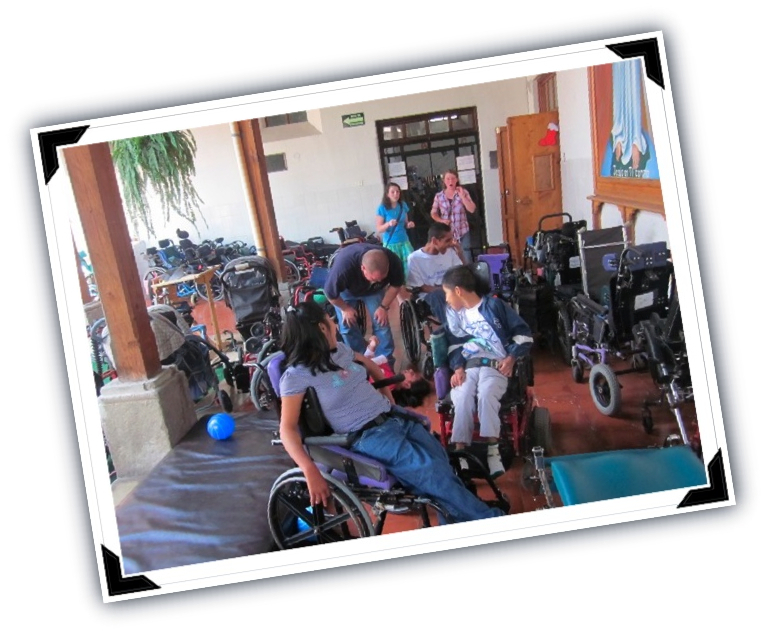 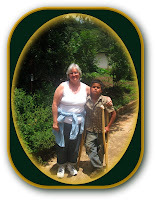 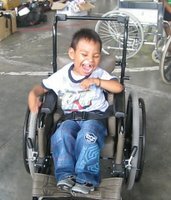 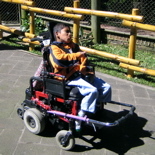 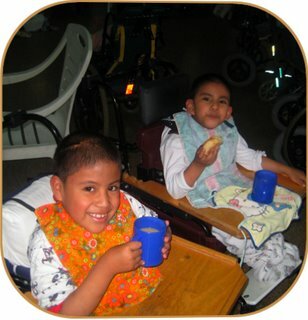 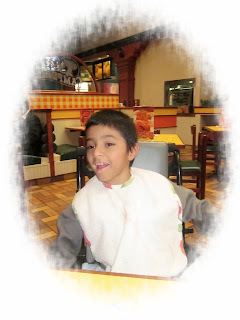 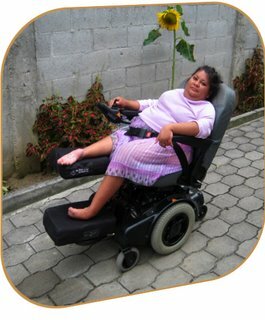 Some of the kids in Daryl's family are themselves in wheelchairs but that did not stop each and every one of them from loving on the kids at Hermano Pedro. 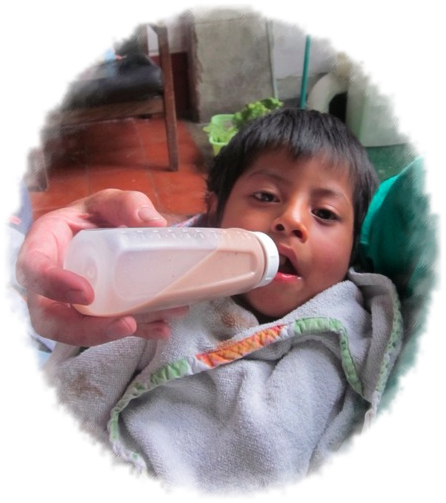 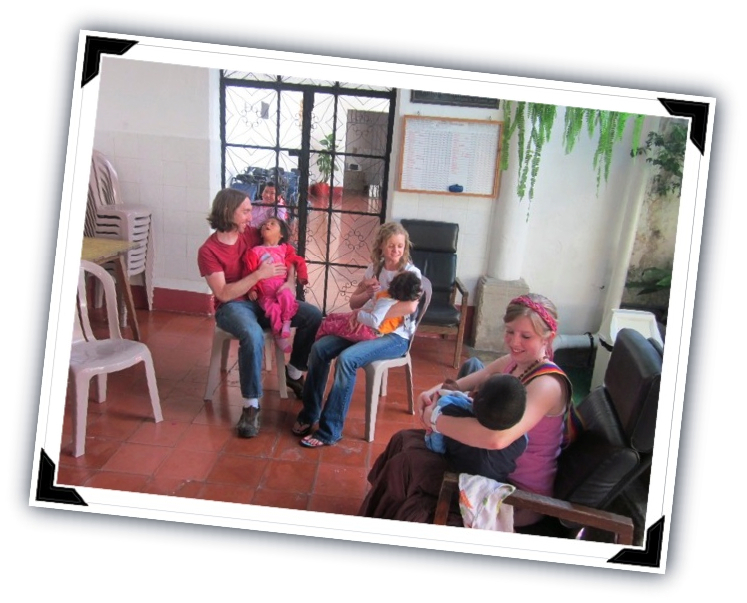 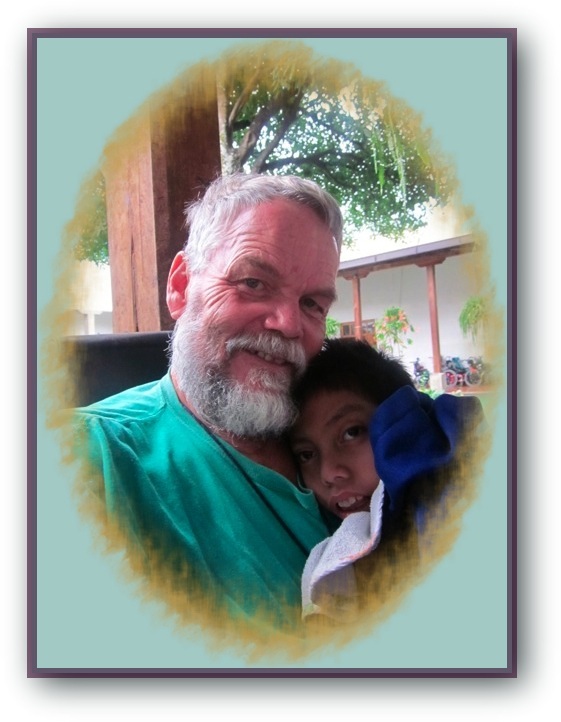 "Welcome to Guatemala Daryl and Family. 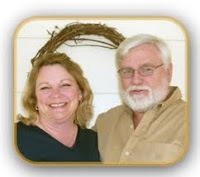 Or perhaps I should say welcome home. 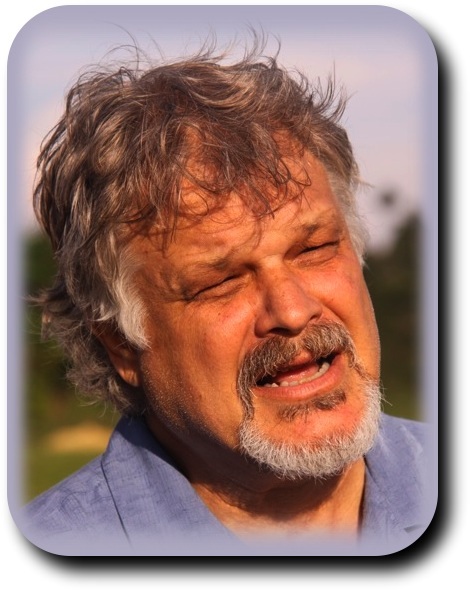 I know that your harts have been here for years." 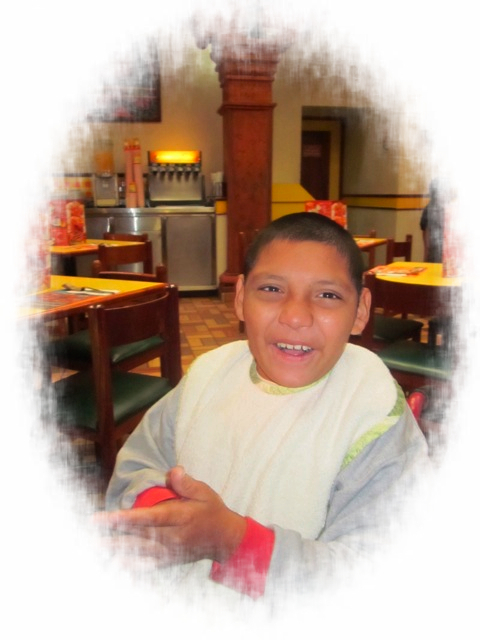 It has now been 3 weeks since Jason has disappeared. 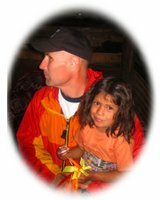 No one has seen or heard anything.